PUTRAJAYA — Datuk Dr Nasharudin Mat Isa (pic) has handed over several documents and financial statements to assist the Malaysian Anti-Corruption Commission (MACC) in investigating the allegations that the PAS leader had received a fund of RM90 million said to be from the 1Malaysia Development Berhad (1MDB). The former PAS deputy president also handed over the personal financial information and several other bank statements asked for including the financial accounts of the Global Movement of Moderates Foundation (GMMF) where he is the Executive Chairman. Speaking to reporters after giving a statement for more than four hours at the MACC Headquarters here, Nasharudin said he was most satisfied and thankful to the commission for giving him the opportunity to make clarifications and hand over all the evidence required. He said the interview session was used to explain matters concerning sources of finance, and how the funds were spent, where everything was contained in the financial statement handed over. “I hope the MACC is given as wide an opportunity to carry out investigations on any party, for example those who claimed to have evidence and so on could hopefully come forward to help the MACC. “I am also thankful to the MACC for acting swiftly on the police report lodged recently concerning the controversy on the RM90 million fund,” he said. Asked on the status of the RM90 million fund, Nasharudin said he left it to the wisdom of the MACC to investigate and issue statements to clarify on the matter. He would continue with his testimony at 3.30pm at the MACC to give details on several matters which had been postponed, as he had to perform the Friday prayer. The presence of the Member of Parliament from Bachok at 8.40am was not realised by media practitioners who had been waiting since early morning until it was confirmed by the MACC spokesman. Besides Nasharudin, Parti Amanah Negara (Amanah) vice-president Datuk Husam Musa was also reported to be called today to have his statement on the same issue recorded. Husam, who was contacted, however said he was now in Kelantan and was not informed about his presence to give a statement to the MACC. 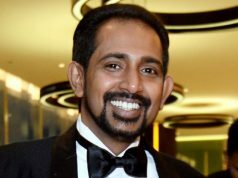 Husam, who was also a former PAS vice-president, had once claimed that he had details on the RM90 million fund which was alleged to have links with PAS. They were among the four individuals who were reported to be earlier listed by the MACC as key witnesses in assisting the investigation on the allegation that the PAS leader had received RM90 million said to be from 1MDB. A member of the PAS Central Committee Nik Mohamad Abduh Nik Abdul Aziz was present at the Kelantan MACC Headquarters today to give statements on the investigation. Earlier, MACC Deputy Chief Commissioner (Operations) Datuk Seri Azam Baki had confirmed that the investigation was initiated according to the jurisdiction of the MACC following investigations by members of the public which was later referred by the police to the MACC. 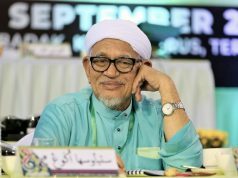 The issue of PAS receiving money from UMNO resurfaced when PAS president ​​​​​​​Datuk Seri Hadi Awang decided on Feb 1 to finalise the out-of-court settlement by withdrawing the claim against Sarawak Report (SR) editor, Clare Rewcastle Brown, concerning the article which contained the allegation. Next articleமக்களின் வாழ்க்கைத் தரத்தை உயர்த்த சிறப்புக் குழு உருவாக்கப்படும்!